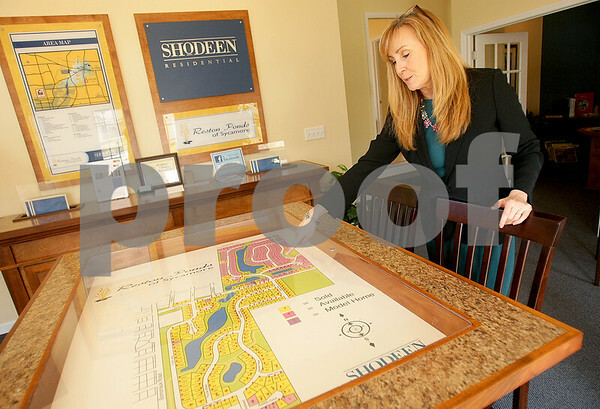 Danielle Guerra - dguerra@shawmedia.com Shodeen Homes sales associate Christina Berru shows where phase two of the Reston Ponds subdivision of Sycamore will be built. The pink colored lots on the map are phase two and will be built by Shodeen Homes, the lots extend to Southeast Elementary School. There are 158 total homesites in phase two and 146 still available.